You are here: Home > Nokia E73 Coming Soon? We’re again working on thin info here but we’ve already said at least once that T-Mobile has the Nokia E73 on the books for the summer. Now, our sources are telling us that training for this device will begin sometime in June with a launch shortly thereafter. We know that this device isn’t likely to receive the sort of frenzy a new Android phone would, Nokia might be down but they aren’t out. Choice is a welcome thing in the T-Mobile lineup and while we all hope for a “super-phone”, the E73 should be a perfect choice for those looking for a break from the Android/Windows Phone/Blackberry experience. ← HTC HD2 Update Coming Soon? I think I have an old phone that looks just like that. You guys got me with that picture !!! I had that phone back in the day. yes tmobile is getting the e73 and another touch screen nokia. the nokia rep for our region confirmed it. not excited though. tmobile needs more mid teir messaging phones for families. Yeah the nokia per said the touch screen will be like the nuron but with a slide out keyboard. That Nokia 5100 was the BEST FONE EVA. The Navi-key always to have the right function for whatever you were doing. T9 worked just fine on it. I bet it doesn’t spell ‘Android’ correctly, but hey, that was the 90s. Or was it the 80s? NAMPS was tolerably reliable within limits. You could drive nails with that thing. And yes, the camera sucked. And you can STILL get a new faceplate for it at the supermarket or in the dollar store. Go on, look in the bargain bin. There’s bound to be a Sanyo-branded faceplate for the 5100 on one of the clearance tables. Look for the red blister pack, I dare ya! Sadly, NAMPS is gone, so these are now just curios. My Sony T637, however, still works, if I needed it. Ahhh….my first T-Mobi…err, Voicestream phone. Those were the days. How about a high end Android phone for a change? i’d personally like the n8. i’m not so fond of the nuron i call my phone. The cell industry should really go back to old school and bring back those cells for those who have no use of using data plans. They did a recent poll where teens just use the voice and txting and less data. It’s actually a waste of customers money especially if you rarely use data to use the internet. I still have 2 Motorola V 330’s if I could get it unlocked I would use them for txt and voice cos thats what I do mostly now unless I have to go online. I’m also hard of hearing so I need a loud phone, next time good headphones to use, lol.. and I have small fingers for keys. I’ve compared with other companies to Tmobile’s family plan and none of them can come close even if 3 blackberries were in use. Would love if they dropped the pricing for the 3rd phone that uses the family unlimited to the $5 but not happening any time soon. Boy Genius showed the Motorola Razr that got canned that would of been perfect for many flip users. Who knows maybe they’ll go back to it i the future for those who doesn’t want a smartphone. I find the US view of Nokia interesting. I’ve owned a Nokia 5800XM since 2008 and it has never let me down. Great battery life, hand and pocket friendly form factor, rugged, excellent reception/signal strength, WiFi, Skype, 2 way video calling over Fring, OVI messaging, tons of free apps, easy customizations, Carl Zeiss dual LED flash camera, video, GPS,etc. Really, for 250 bucks unlocked…it’s still a bargain after almost 2 years. I spent some change to get a nice case (OtterBox) and always use protectors for the resistive screen. Frankly, it does things I cannot get on an iPhone 3GS. Yes, its got a slower processor and not a lot of RAM…but Symbian is really efficient. I run a Task Manager, OVI messaging (push mail client), FRING, and the Gravity (Twitter & Facebook) client simultaneously. The FREE Nokia OVI maps package with turn by turn navigation and other benefits like LONELY PLANET, MICHELIN, local EVENTS & WEATHER is OFFLINE capable (nice for limited data plan). The MAPS package comes with the Firmware for all touch phones and is FREE worldwide. The phone easily runs podcasts and GPS navigation at the dame time, no problem. Nokia also stands by the product with 12 firmware updates since the beginning. The performance of the resistive screen improved dramatically after the 3rd or 4th FW release…it is very responsive. Yes, I’m a gadget freak and looking forward to the next generation smartphone…but no rush…I’m very happy with this one. 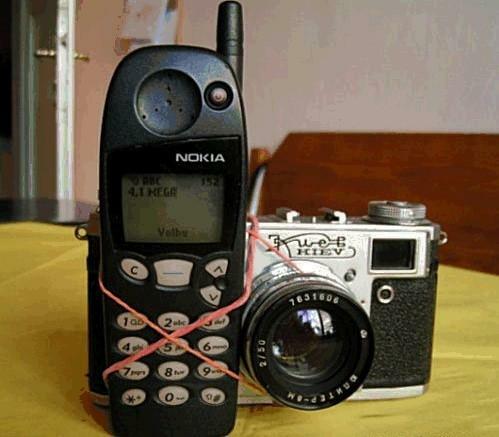 Same here with the Nokia 5800XM. It’s been a really solid phone, great battery life and worth every penny. I’m looking forward to the N8 now. There’s an unknown nokia phone passed FCC. The test report stated it has band I/IV/VIII 3G. I am not sure whether it’s E73 or not.